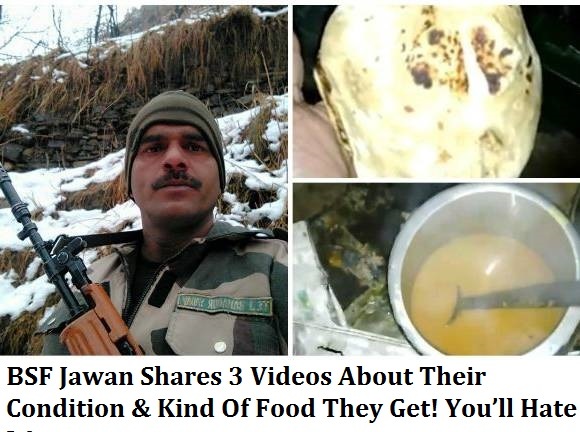 BSF Jawan Shares 3 Videos About Their Condition & Kind Of Food They Get! You’ll Hate It! However, there is a BSF Jawan who took to Facebook to share the condition of jawans; he has shared 3 videos on Facebook and majority of you will cry seeing them. 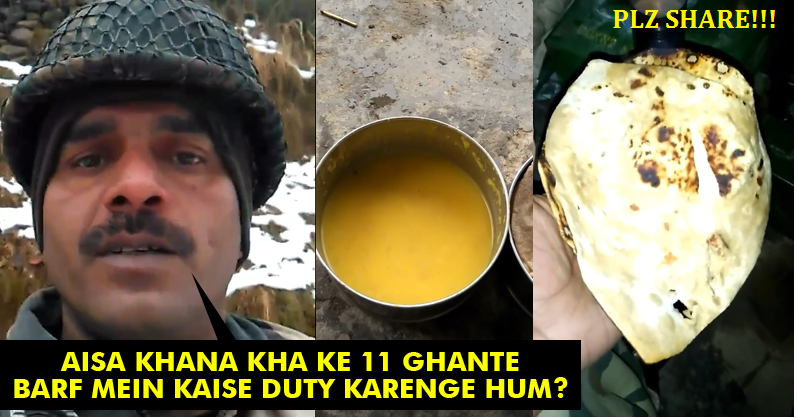 Named Tej Bahadur Yadav, this soldier says he is from 29th battalion of BSF in Jammu and Kashmir and highlights the bad condition of the jawans there. He says how the soldiers don’t get adequate facilities or food; although the identity of the man couldn’t be verified, the videos are pretty sad. He doesn’t blame the government for anything but holds the senior officers responsible, for misusing the money meant for soldiers. Tej Bahadur wants the media to highlight the requests and conditions of Jawans so that everyone can be aware. Moreover, he has also requested the PM to interfere. Labels: BSF Jawan Shares 3 Videos About Their Condition & Kind Of Food They Get! You’ll Hate It!